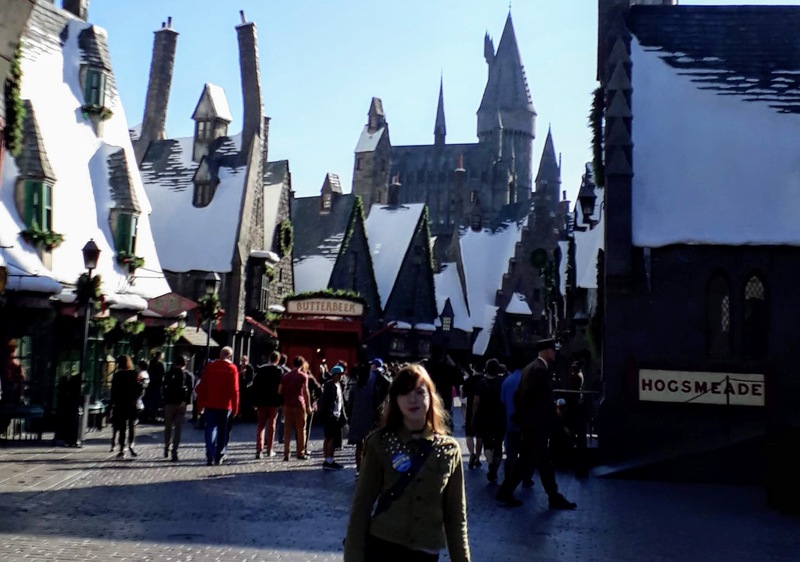 We love visiting Universal Studios but we’d only ever been to Universal Orlando and Singapore so when we got a chance to visit Universal Hollywood, well it was a no brainer really. 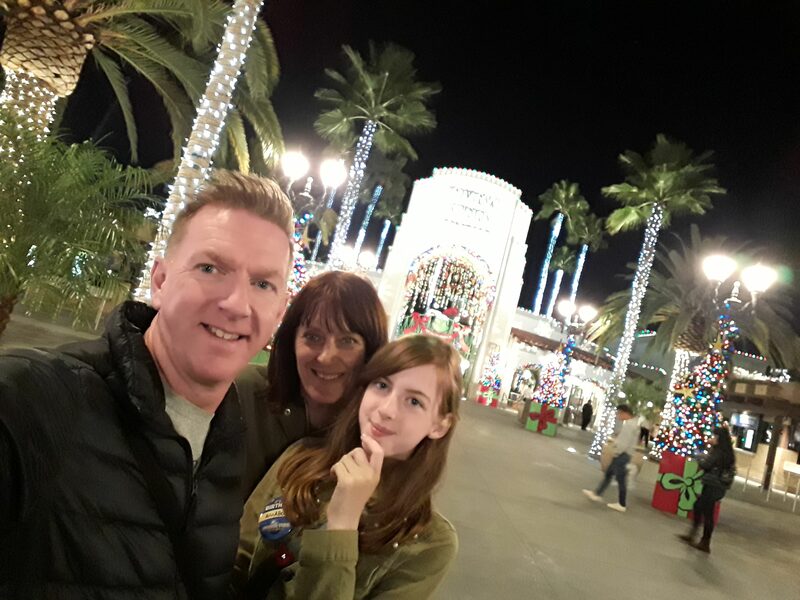 We got offered a housesit in Hollywood in December 2018 so we planned a trip to Universal for Annabel’s 13th birthday to coincide. The Universal visit was going to be a big secret so we had to plan it without Annabel knowing. 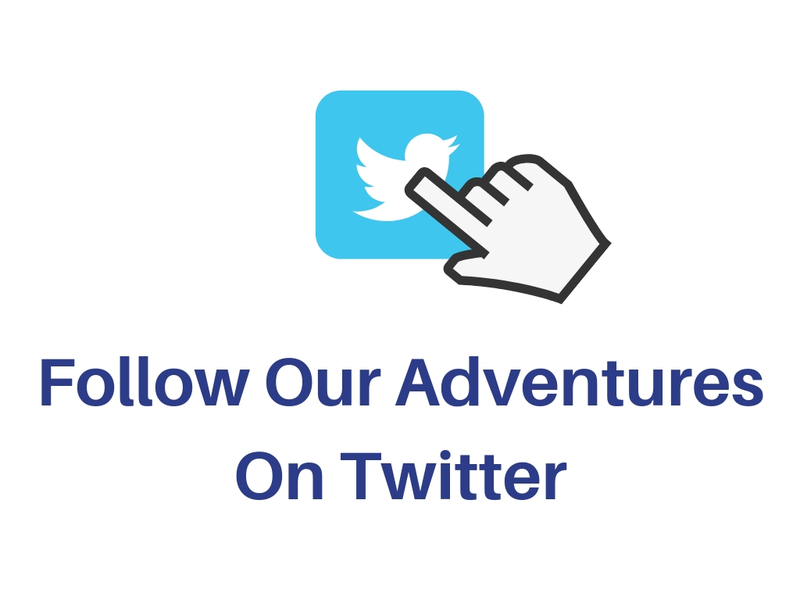 Anyway, suffice to say we had the most wonderful time there and we want to share what we learnt with you so you can have some amazing theme park fun too. 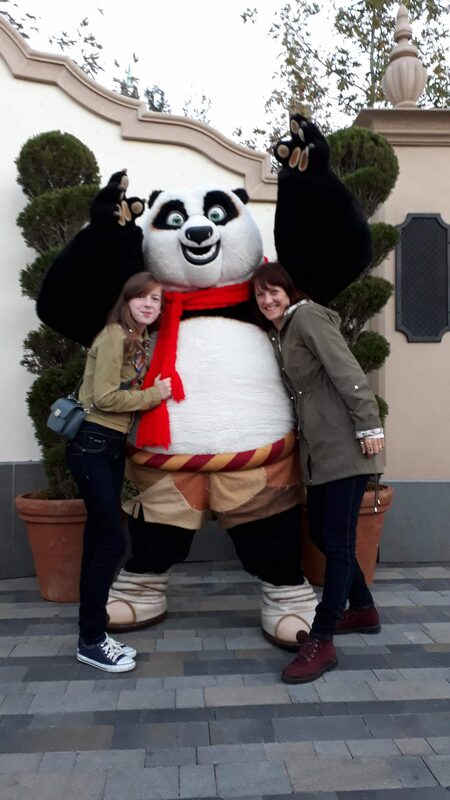 Remember as you read this that we’re a family of two adults and our daughter Annabel who was 13 at the time of visiting so we’ll be talking about the park from our perspective. So Where Is Universal Studios, Hollywood And How Do You Get There? Universal Studios Hollywood is located between Central Hollywood and North Hollywood, in what they call Universal City. 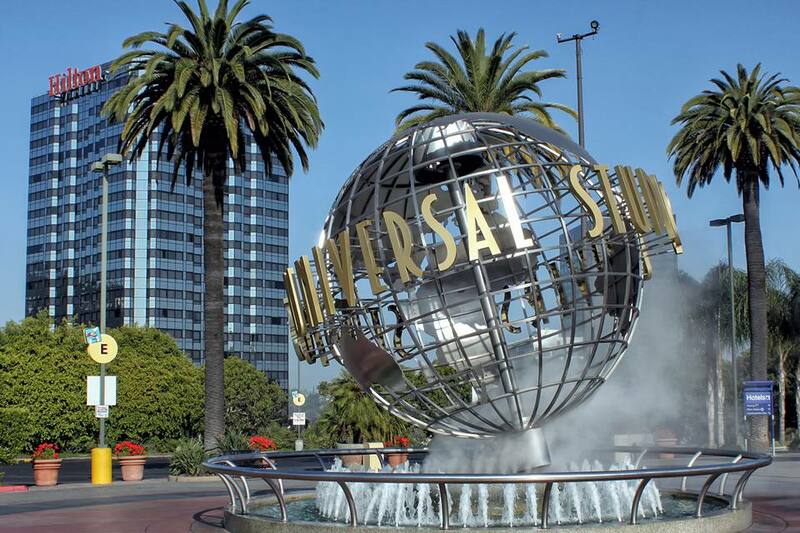 Universal City is where all the working studios are located too. Universal Studios can be accessed from Central Los Angeles and Hollywood by Highway 101. There are plenty of parking options at the theme park and you’ll find the details and rates here. Driving is very popular in Los Angles but this also means that traffic gets very heavy in certain parts of the city. The studios are very easily reached by metro and this was how we got there. The Metro Red Line operates between Union Station in Downtown Los Angles and North Hollywood. Accessing the Red Line from Hollywood is easy with stops at Hollywood/ Western, Hollywood/Vine and Hollywood/Highland. 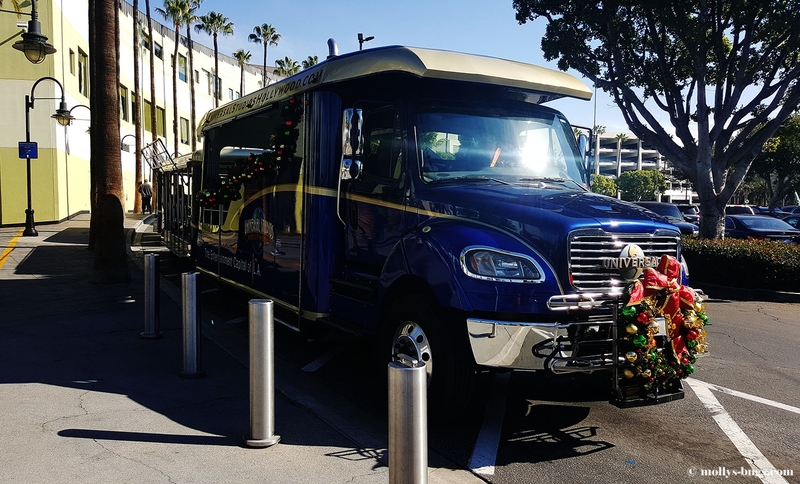 The Universal City/Studio City is the stop you need to get off at to access Universal Studios. We stayed in North Hollywood and it was a very easy ten-minute journey to the studios from there. Universal runs a Free Shuttle from the Universal City metro station/bus station to the park. The shuttle runs 7 days a week from 7 am until 2 hours after the park closes. Simply exit the metro station of the bus station and cross the pedestrian bridge. 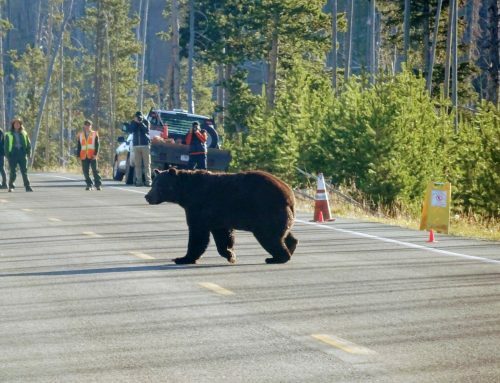 You’ll see the shuttle pickup stop in front of you. It’s also easy to walk up the hill from the metro station to the park but it’s up quite a steep hill so you may want to take the shuttle which is a cool ride anyway and gets you in the mood for the park. Universal Studios consists of the theme park and Universal City Walk. City Walk is located just outside of the main entrance to the theme park and is the place to find restaurants, shops and the Universal Cinema. The theme park is spread over two levels with escalators or stairs linking the two levels. 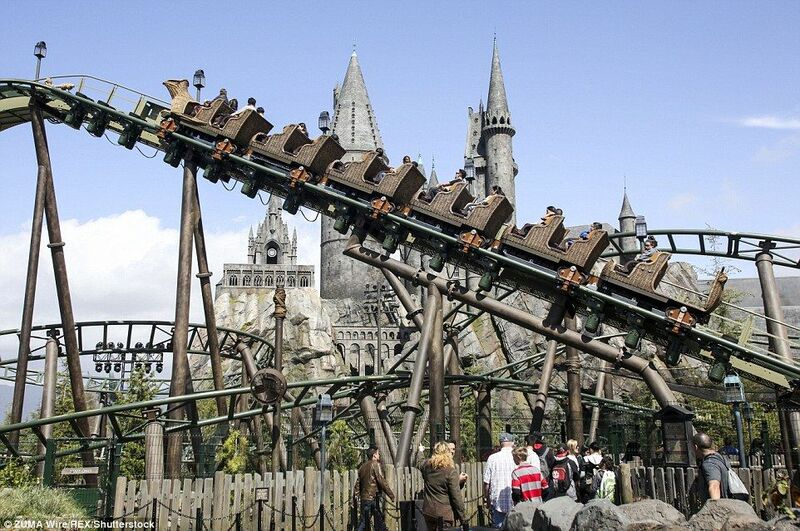 The majority of rides are located on the upper level including The Wizarding World Of Harry Potter. 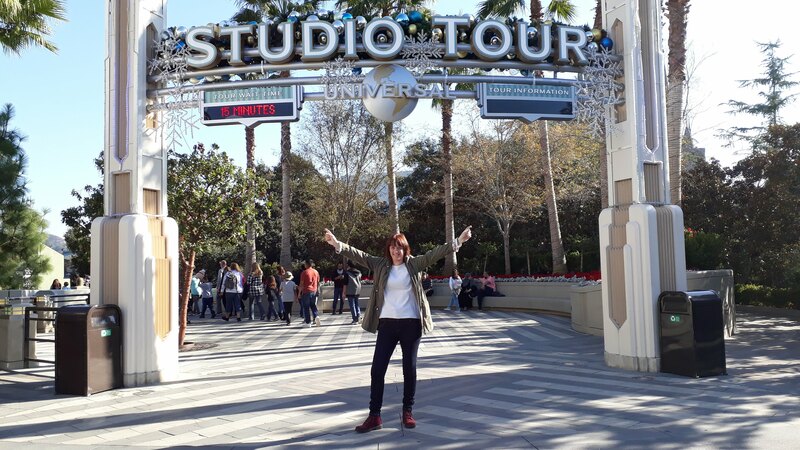 Universal Hollywood is famous for the Studio Tour which takes you around the actual backlot of the working studios with chances of seeing live filming going on. Universal Hollywood is smaller than its Orlando Sister park so is much more manageable. 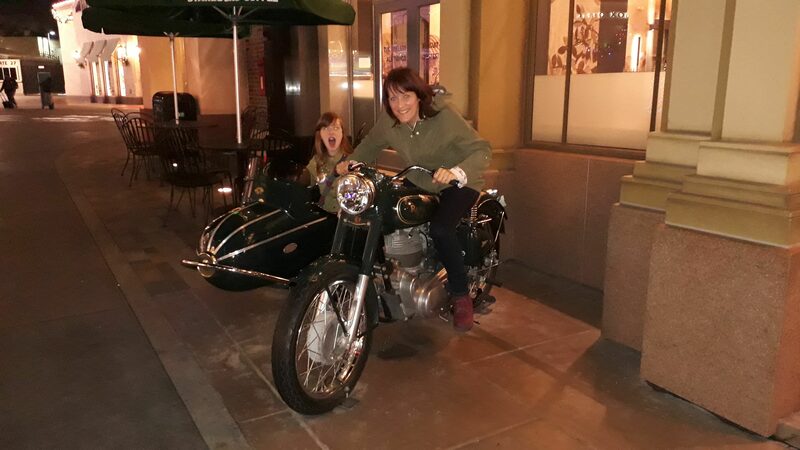 We’ve added our own Norman family rating for each ride or attraction but remember it’s only our opinion. 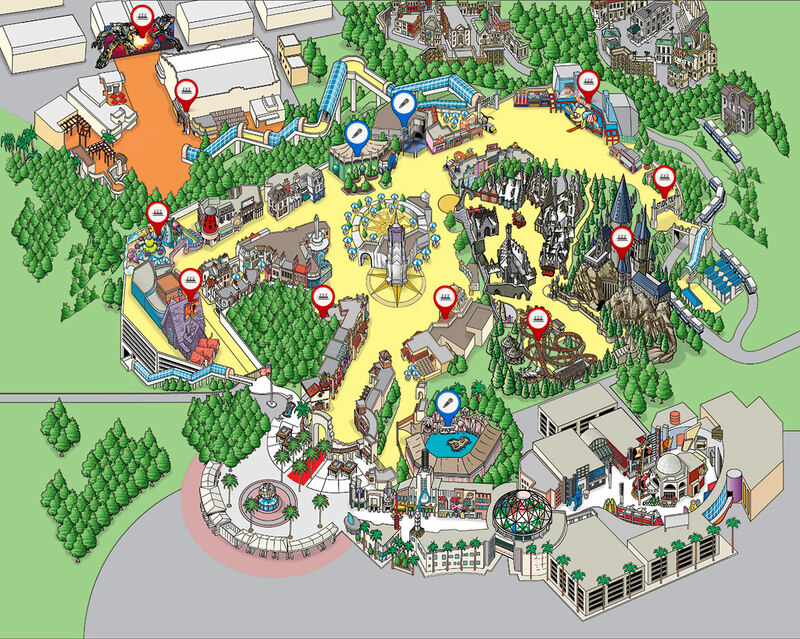 Here’s a brief overview of the rides and attractions in the park. Everyone loves Harry Potter and the Wizarding World is surely the most popular section of the park. There are two rides located here but the real magic is in the look and feel of the area. As you enter it feels like you’re stepping into the world of Harry Potter itself with the themed buildings and cobbled streets. Hogwarts stands at one end majestic and looming with its turrets and towers. The Hogwarts Express stands by Hogsmeade station and Diagon Alley awaits exploration. This is our most favourite ride in all the park. Entering Hogwarts you get immersed in the magic and mystery of the Harry Potter stories as go from room to room within the school. The effects and props are really well done. I won’t say too much about the ride itself but it will see you soaring above the world of Harry Potter pitching you against the Dementors. The ride is great and we rode it so many times. This a small scale and gentle rollercoaster for the little adventurers. It was too tame for us and a very short ride. For little ones, it would be a great introduction to a rollercoaster-like ride. 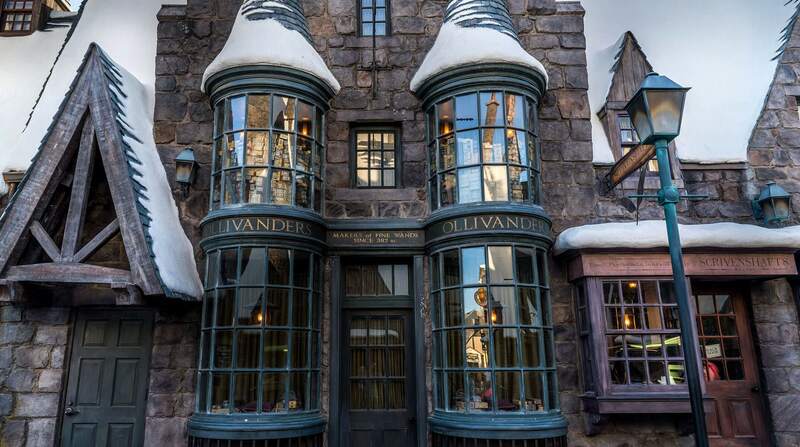 There is always a big queue waiting to go inside Ollivander’s Wand Shop. We didn’t know exactly what to expect but it was a bit of a disappointment after waiting in line for so long. Basically, you meet Ollivander and he picks someone from the audience to receive a wand. He tries a few wands out and there are some special effects as the wand chooses its owner. The attraction is popular because someone receives a free wand. This is the real star of the show. It’s a trolley tour around the backlot of the Universal Studios with some exciting attractions along the way. The entrance is located at the upper level of the park but just before you descend the escalator take a look at what filming is in progress on the board. The commentated tour takes you down through the sound stage areas and out to the movie’s sets. You’ll see the Bates Motel, Who Ville from the Grinch, The New York Street sets and the set for Europe. 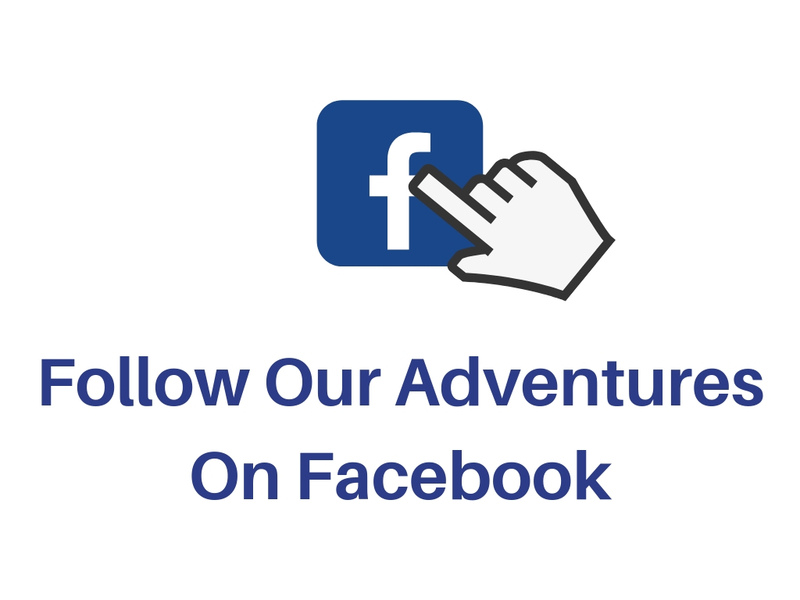 Along the way, you’ll have a close encounter with Jaws, have a 3D adventure with King Kong as well as being part of a Fast and Furious storyline. The 3D King Kong and Fast and Furious attractions are executed really well with you never having to leave your seat on the trolley. 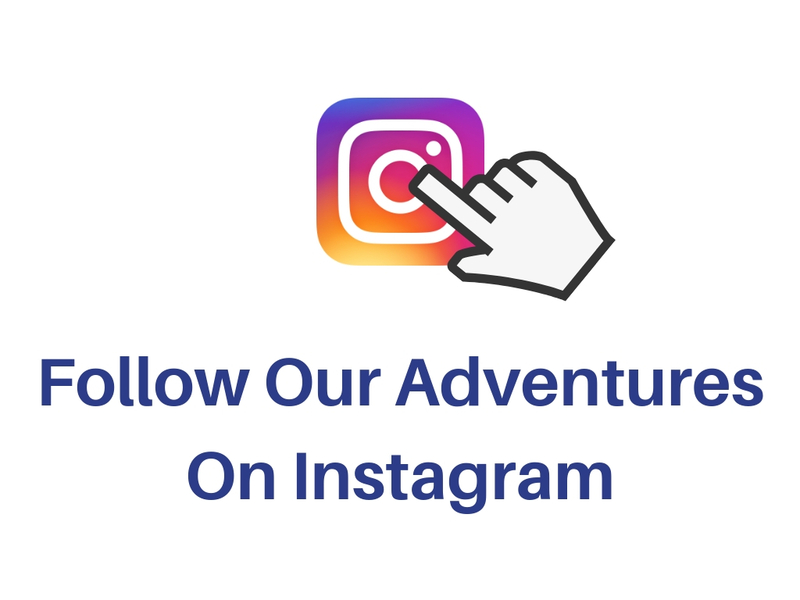 Keep your eyes peeled for filming and celebrities as you tour around. There were several areas that were being filmed in, on our tour but we didn’t get to see any action. This is another of our favourites. 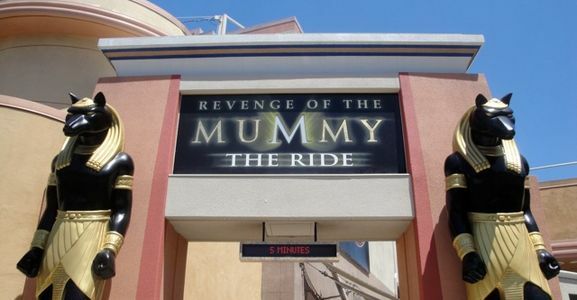 Themed around the Mummy Movie, it’s a fast, in the dark coaster with a few surprises along the way. We love it and kept riding it. 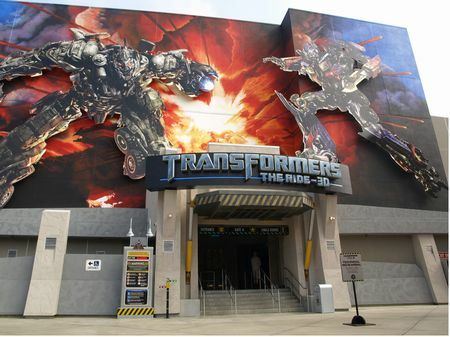 Collect your 3D glasses and hop aboard your vehicle for a whirlwind adventure battling the Decepticons. The effects are brilliant in this visually stunning ride. Not so much a ride as a simulator but with great effects that will see you on an adventure around Crusty World. We didn’t visit Super Silly Funland but it’s aimed at the younger children. Sue and I checked this walkthrough experience out before suggesting it to Annabel who was actually celebrating her 13th birthday. The atmosphere is pretty creepy as you enter. 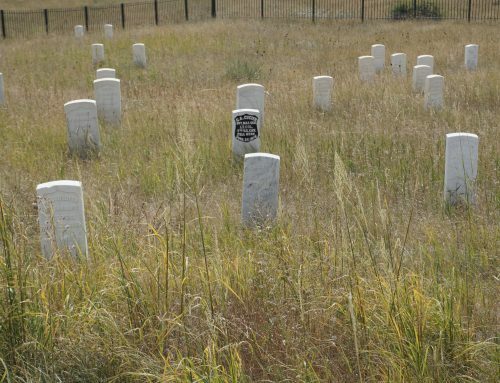 Only a few people are let in at one time so that you get the full experience and atmosphere. I won’t spoil the surprises here but it is scary, to say the least, especially on your first walkthrough. We gave Annabel the choice to go in or not and she plucked up the courage to enter. I think she kept her eyes closed for the majority of the experience but she did see some of it. It’s supposed to scare and it does that quite well. If you love Kung Fu Panda then this is the show for you. It’s a 4D movie playing in the DreamWorks Theatre that has some great effects that don’t just stay on the screen. Another movie type of experience. 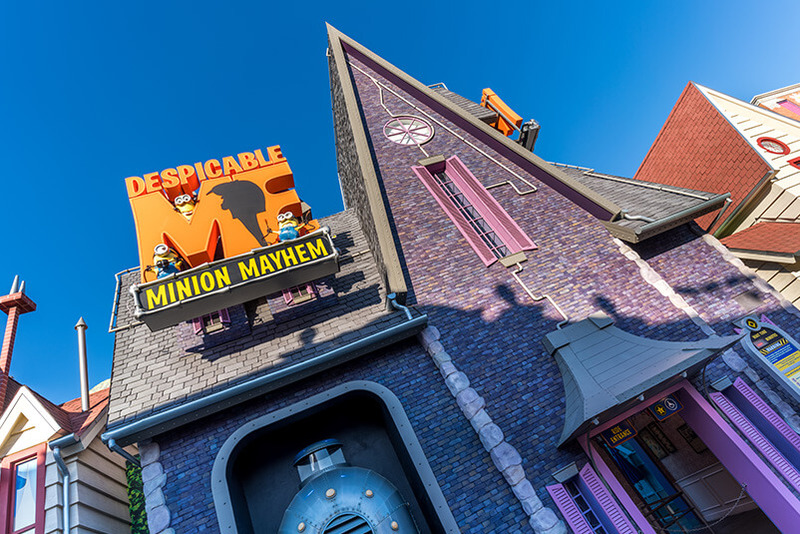 This time you’re transformed into a Minion for the 3D show seated in interactive seats. 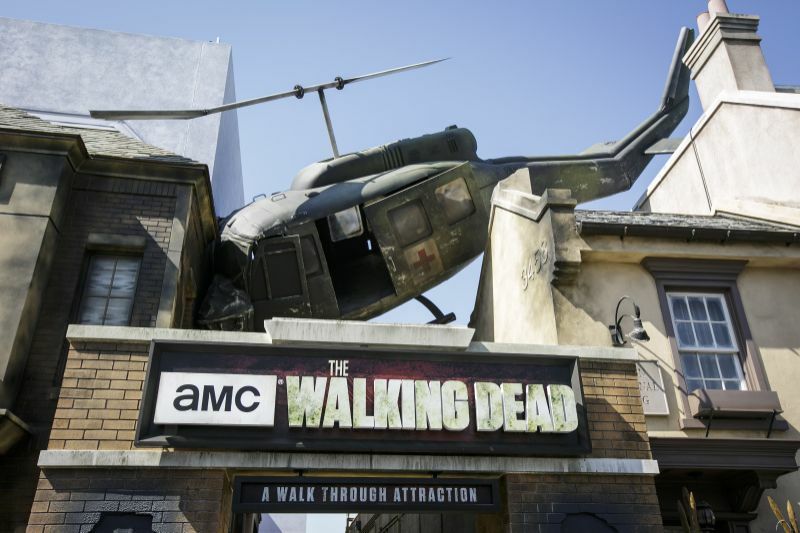 Universal Studios has three main permanent shows. 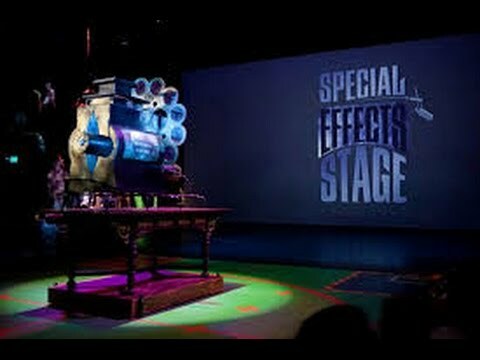 The show gives you an idea of how movies are put together including the special effects and stunts. The two charismatic hosts lead us through the processes involved with the help of some audience volunteers and a team of stuntmen. It’s a well-presented show with lots of interesting facts to keep the movie buffs and children entertained. Unfortunately, we didn’t get to see this show as we seemed to always miss the start time of it. Basically, it’s a stunt show based on the movie, WaterWorld. As you can guess it takes places on the water with jet ski chases, explosions and even a plane crash. Another show we didn’t get to see. It shows off animals trained for the movies and their tricks of the trade. 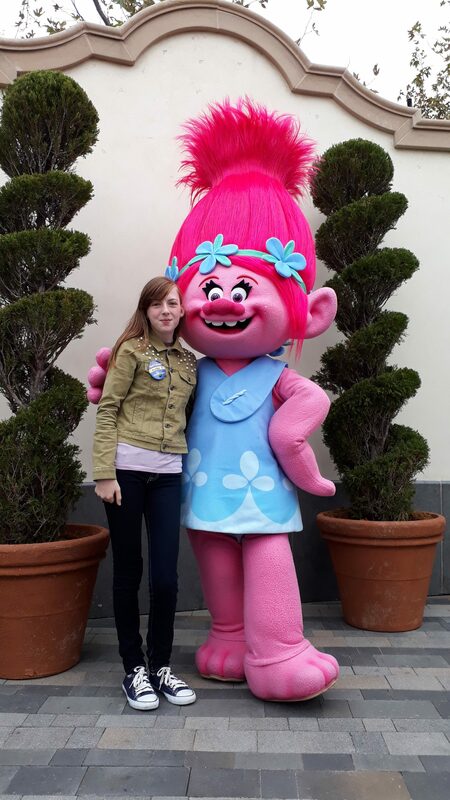 As you wander around the park you’ll see some of your favourite characters doing meet and greets. Whether it’s Gru from Despicable Me or Poppy from Trolls, Shrek or Doc Brown, they’re all here. You can even meet a Raptor down near the Revenge of the Mummy ride or a Mummy himself/herself. 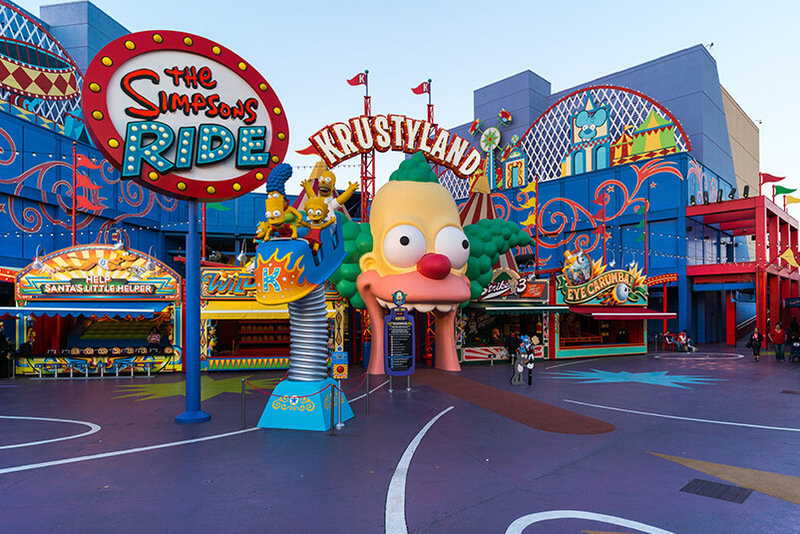 Universal Studios put on fun seasonal attractions and shows all year round. 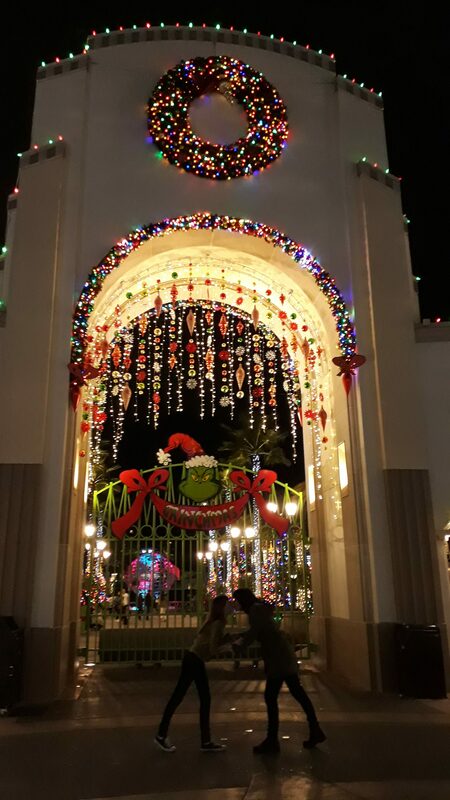 We visited in December so the park was decorated for Christmas with trees, lights and Christmas music playing. Part of the Christmas celebrations is the parks Grinchmas show that was not playing on the days we were there unfortunately as we love the Grinch. 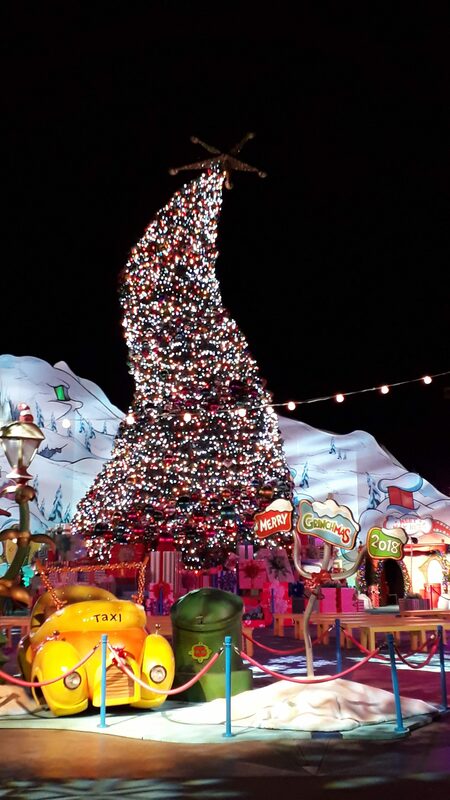 We were able to see the Grinchmas set, right in the middle of the park though. Going in December also meant we got to see Harry Potter World all decked out for the holidays and they put on a nightly snowfall event. Another Christmas special is the light show projected on to Hogwarts, which is pretty stunning. At other times of the year, they also have themed light shows at Hogwarts. Halloween is big at Universal Studios with their Horror Nights which are definitely not for younger children. Check out the Universal Studios website for other special events. Directly outside the main gates of the theme park, you’ll see the entrance to CityWalk. 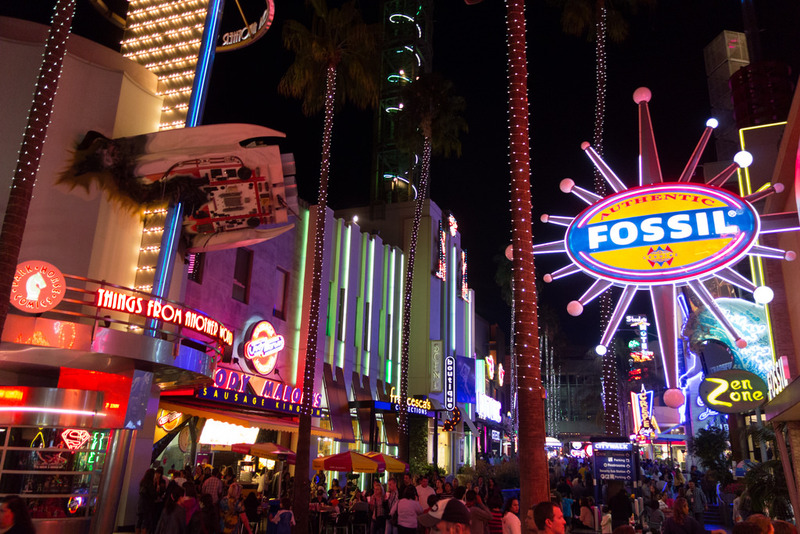 CityWalk is chock full of various shopping outlets, tons of restaurants, cafes, a nightclub and the 19 screen Universal Cinema. Open from 11 am every day of park opening until late evening CityWalk is the place to go for a nice meal or shop till you drop. 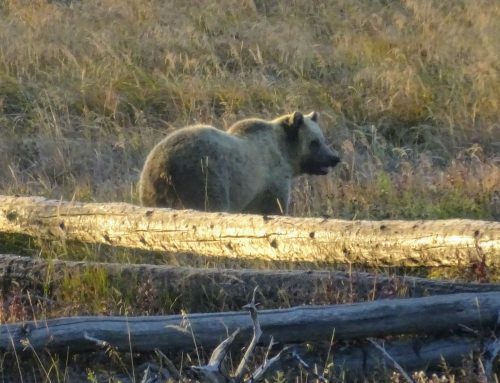 We’re not going to sugar coat it, prices for food inside the park are horrendously expensive. We had breakfast in our hotel then had an evening meal in a restaurant close to our hotel in the evening. That meant we didn’t need anything substantial during the day so we avoided the high costs of food. To be honest we were mostly having too much fun to think about food. 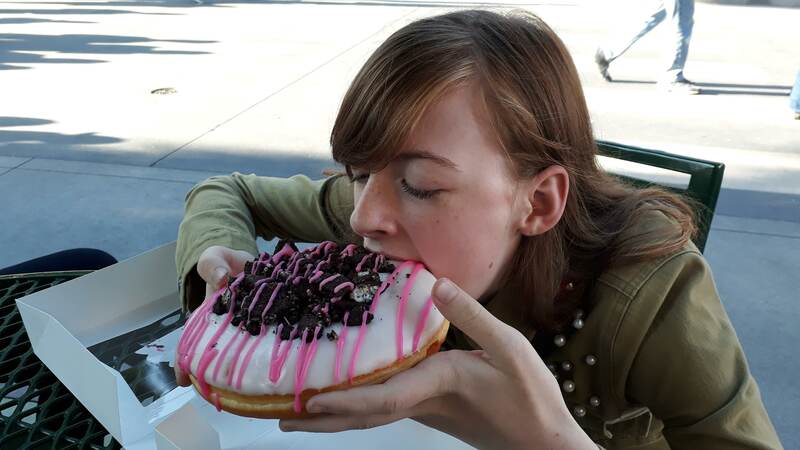 But as it was Annabel’s birthday we did treat her to a giant doughnut from Lard Lads Donuts in the Springfield area. She couldn’t manage it all herself so we helped her out of course. We also bought the most expensive bag of chips/crisps ever at the Magic Neep Cart in the Wizarding World of Harry Potter. If you do want to buy something more substantial then there are literally tons of options. We’ve heard good things about The Three Broomsticks in Harry Potter World and we took a peek inside and must say the interior looks amazing. Other than that we can’t really give any helpful information on dining within the park, only to say, expect high prices in any of the eateries but if an unusual eating experience is what you’re after then have fun. Again we don’t really have much experience of eating here. There are the big name eateries here including Planet Hollywood, Bubba Gump, Hard Rock Cafe, Johnny Rockets and loads more choices. In fact, there are over 30 eating option in CityWalk. 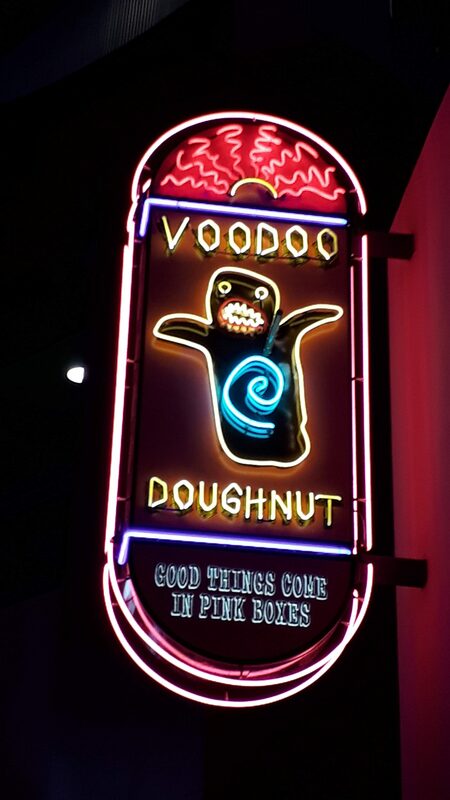 But Annabel did really want to visit Voodoo Doughnut ( you can see a pattern here can’t you ) so we did take a look. They have an amazing array of cakes and doughnuts on sale to eat in or take away. 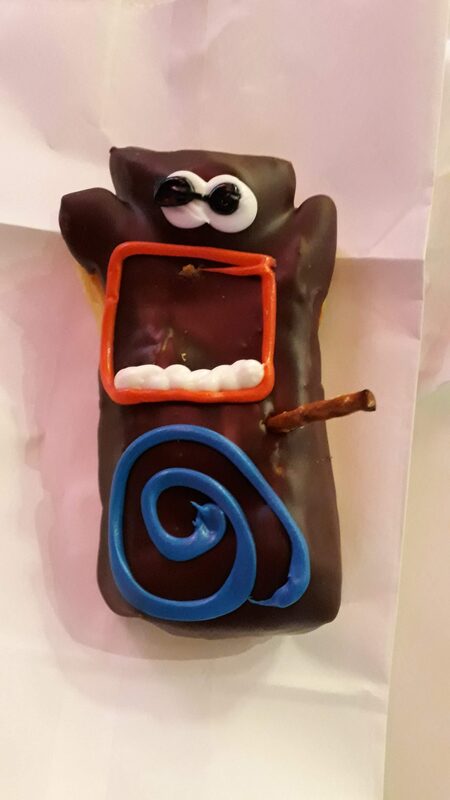 Annabel chose a Voodoo Doll Doughnut and enjoyed every mouthful. As with most theme parks, there are numerous choices of merchandise shops around the park. 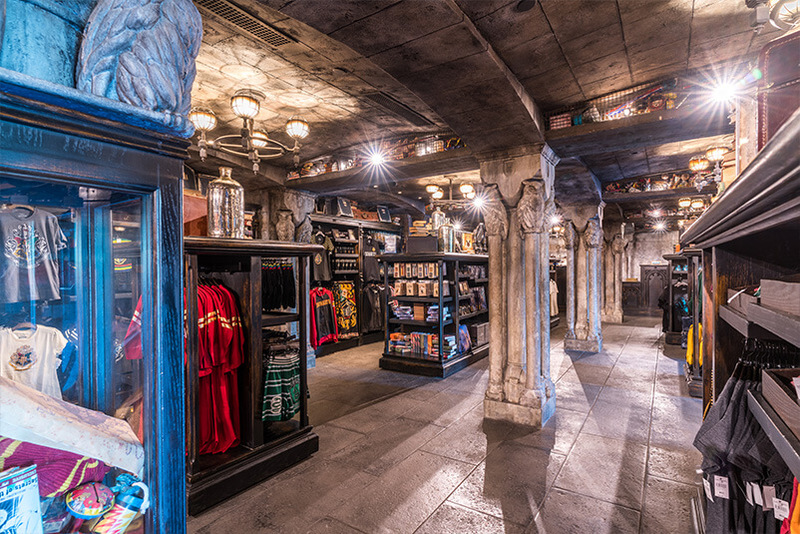 From themed clothing to key rings, from Harry Potter wands to fridge magnets, Universal has it all. For a more general shopping experience, Citywalk has over 30 shops to choose from. From fashion to movie memorabilia, it’s all here. Top name brands like Billabong, Guess, Skechers and loads more have outlets here. They even have an LA Dodgers Baseball team shop here. You can buy your entry tickets at the gate but we would recommend purchasing them online from Universal before your visit. There are some advantages to this method. Quite often Universal Studios have special offers on their website. When we got our tickets they were doing a 2 for 1 deal which meant we got a second-day in the park free. You could get around the park in one day if it wasn’t too busy but two days is plenty of time there. 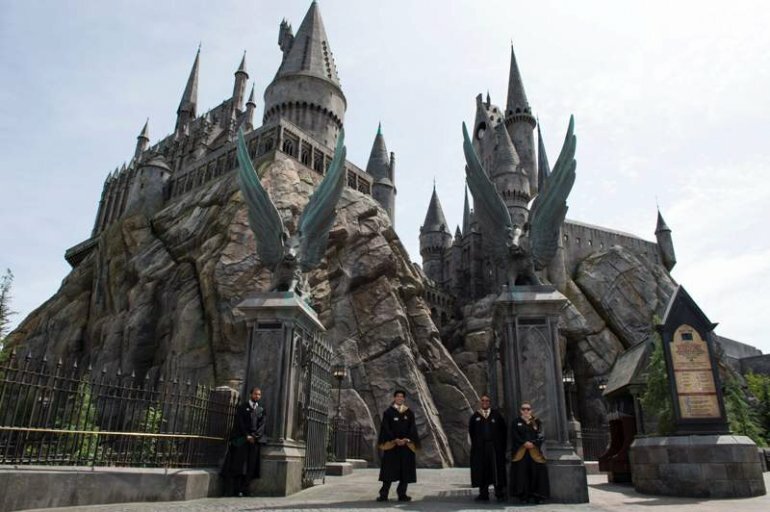 The second advantage of buying tickets online is that you get early entry into the Wizarding World Of Harry Potter. That means you get to enter the park 30 minutes before the official opening and go straight to the HarryPotter rides while it’s still quiet. The park changes its opening times according to the time of year etc, so make sure to check the times and arrive early. 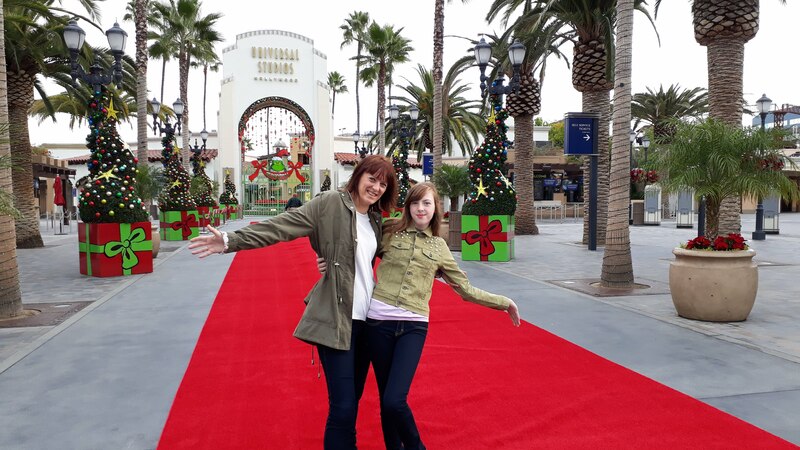 We visited Universal Studios mid-December before the Christmas rush kicked in. It’s a nice time of year as the Christmas decorations are up but the crowds haven’t arrived yet. We also visited mid-week so that it wasn’t too busy. There’s nothing worse than spending your day queuing for rides. In fact, I don’t think we had to queue for any rides longer than 10 minutes and most rides we went straight on. If you’re limited to when you can come then try to be there outside of the busiest times. Google Universal Busiest times to get calendars that give you all the busy, moderate and quiet days so that you can make an informed choice. If you have to come during a busy time then get to the park early and have as much fun as you can. Universal Studios is very accessible so staying anywhere in the Hollywood area would be great. 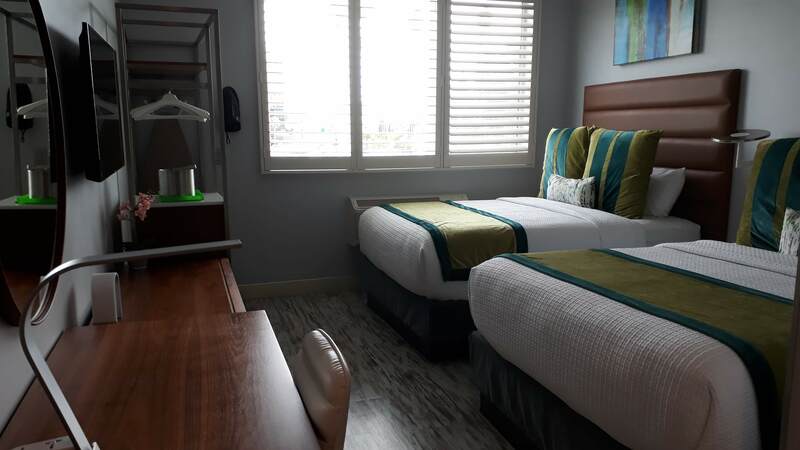 We decided on the Lexen Hotel in North Hollywood as it was a five-minute walk to the metro station and just one stop away from Universal City. The price was reasonable, as opposed to staying onsite in some of the big hotels close to the studios. The area of North Hollywood was also an advantage as it was clean and felt safe. The Lexen is modern, clean and the staff are very friendly so our stay was very enjoyable. You could stay along Hollywood Boulevard which has easy access to the Metro Red Line too. Visiting any theme park excites us but we love Universal the most. Universal Hollywood is much smaller than Orlando but it still packs a punch and you get the famous Studio Tour included. We think Universal has less to do for little children, although there is still plenty for them to do but not the same as somewhere like Disneyland. 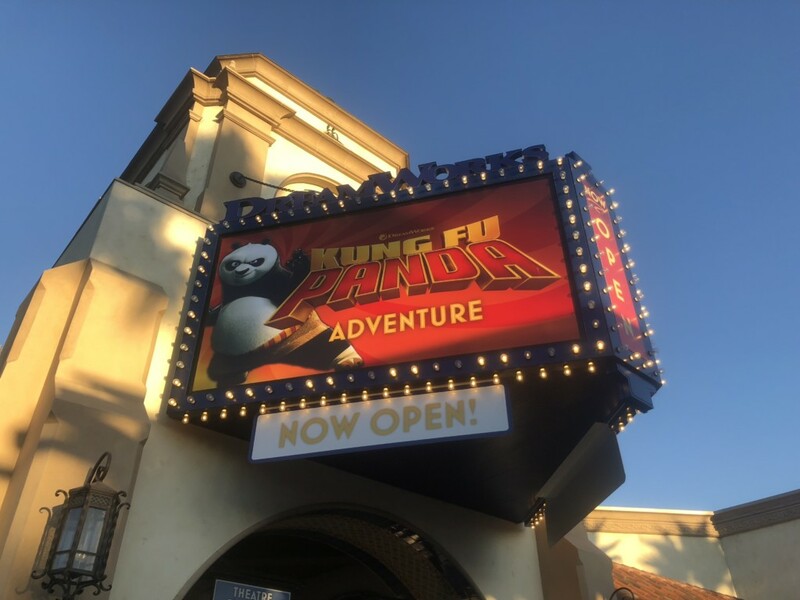 Universal Hollywood is easily accessible and has the added attraction of all the major movie studios being close by as well as Hollywood Boulevard and it’s attractions. 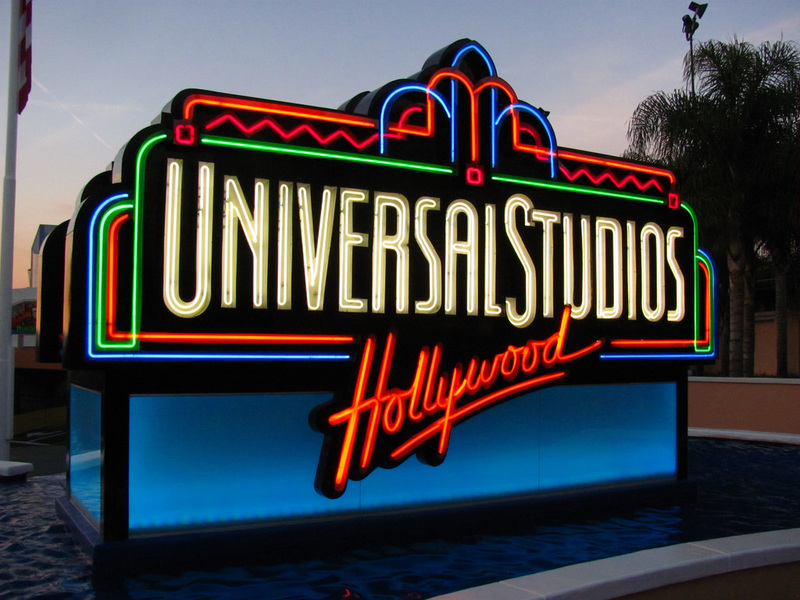 If you haven’t been to Universal Hollywood then we would definitely recommend a fun visit there.